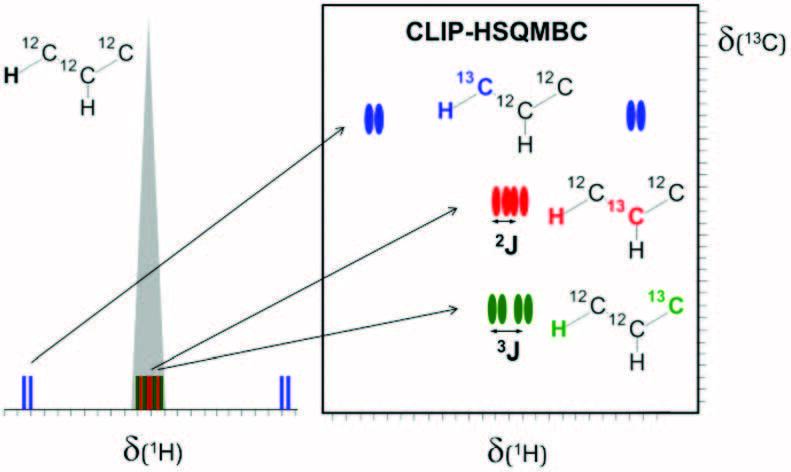 A user-friendly 2D NMR approach denoted as CLIP-HSQMBC is proposed for the very easy, direct and accurate measurement of long-range proton-carbon coupling constants in organic molecules and natural products. 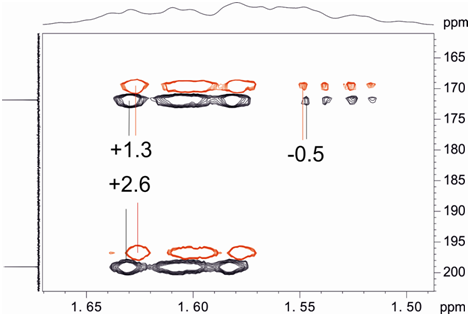 The J value can be extracted directly from the analysis of resolved in-phase 1H multiplets that show an additional splitting arising from the proton-carbon coupling. 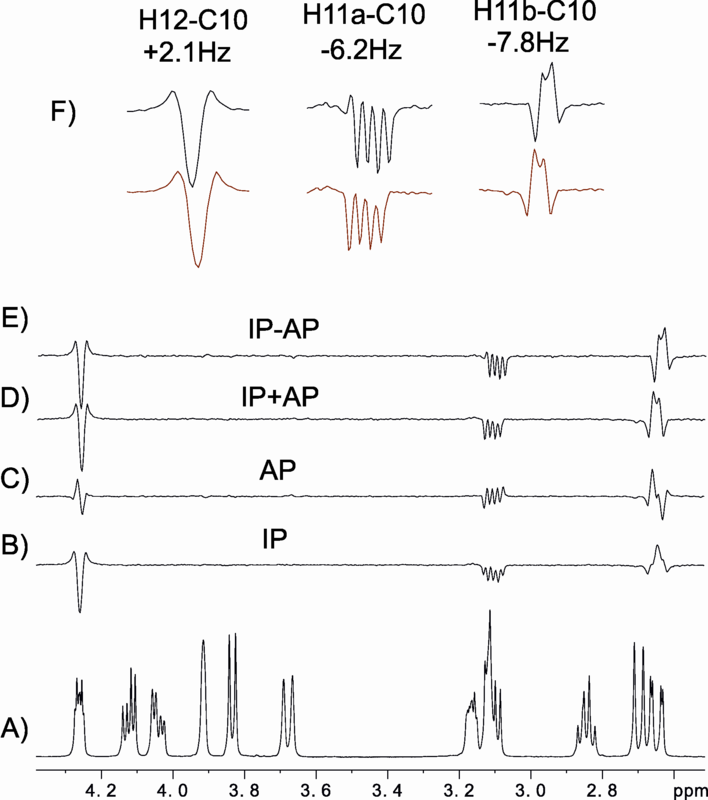 In cases of unresolved peaks, a simple fitting analysis using the internal satellite lines as reference is performed. 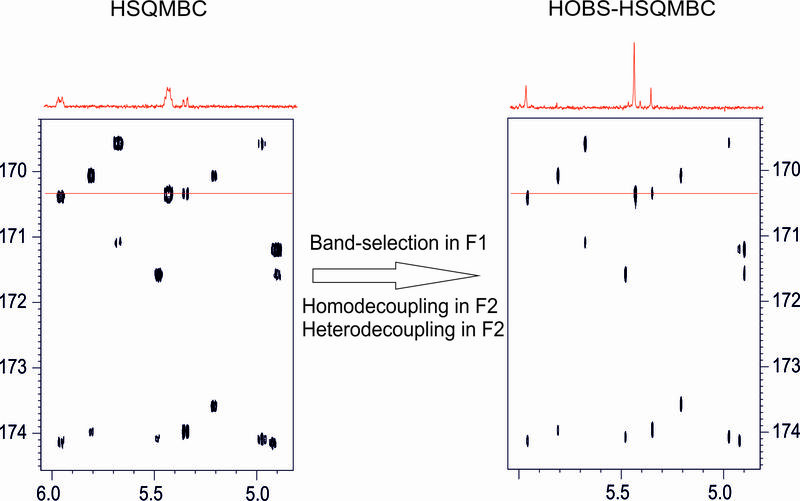 Addition of a spin-lock period results in a CLIP-HSQMBC-TOCSY experiment that is suitable for the measurement of very small coupling values or to observe correlations from overlapped resonances.